New Delhi, April 24: Prafulla Samantara, National Convener, National Alliance of Peoples’ Movements and the leader of Lokshakti Abhiyan, Orissa has been awarded The Goldman Environmental Prize, Asia, 2017. The Goldman Environmental Prize honours the achievements and leadership of grassroots environmental activists for their sustained and significant efforts to protect and enhance the Natural environment. He has been awarded the Prize for committing his life for the peoples’ struggle and the hardships that he has faced in the historic 12-year legal battle along with Niyamgiri Suraksha Samiti that affirmed the indigenous Dongria Kondh’s land rights and protected the Niyamgiri Hills from a massive, open-pit aluminium ore mine proposed by Vedanta. 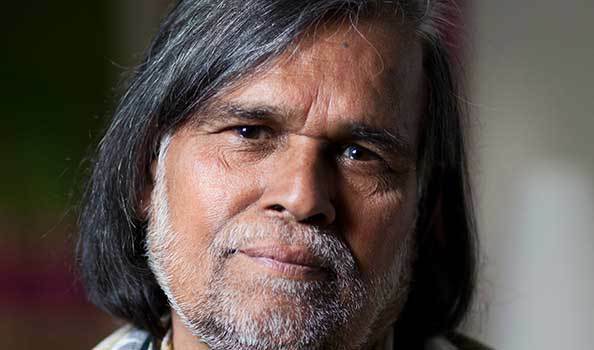 National Alliance of Peoples’ Movements welcomes the decision of the Goldman Environmental Prize and congratulates Prafulla Samantara. This is an award for the valiant struggles of the communities to save the environment and secure their right to live with dignity and oppose destruction and loot of land, water and forest by corporations in the name of development. Medha Patkar, Narmada Bachao Andolan – NAPM, while, congratulating Prafulla Samantara for winning this award said,“It is the victory and recognition of the struggle of the Dongria Kondh tribe, the people of Niyamgiri Hills and the Comrades like Lado Sikaka and Lingraj Azad against the big Corporates. It is a victory of the movement and everyone who over the years has contributed to this struggle. Prafulla has proved his own commitment and courage to the world and this award succeeds in countering the false propaganda of the agencies who call it an extremist movement. This is a struggle of the poorest of the poor against the biggest corporations in the world. We are proud of and supporter of his work because he is a fighter” NAPM National Conveners Aruna Roy, Rajasthan, Arundhati Dhuru, Uttar Pradesh, Vimal Bhai, Uttarakhand, Meera Sanghamitra,Telangana, Aashish Ranjan, Bihar, Sudhir Vombetkere, Karnataka, Suniti S R, Maharashtra, Rajendra Ravi, Madhuresh Kumar, Delhi, Amulya Nidhi, Madhya Pradesh and many others congratulated Prafulla Samantara on his recognition.